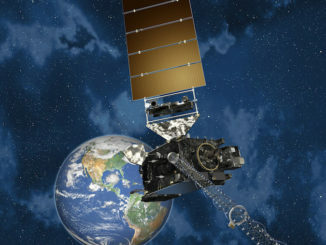 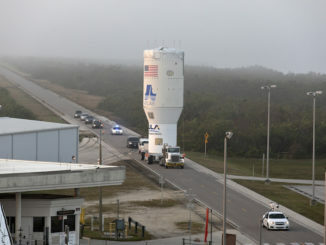 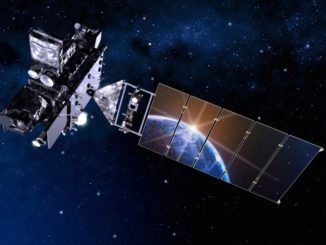 The second satellite in a quartet of new NOAA weather observatories is awaiting liftoff Thursday aboard a United Launch Alliance Atlas 5 rocket, heading for a position 22,000 miles from Earth to scan the western United States and Pacific Ocean for typhoons, wildfires and fog. 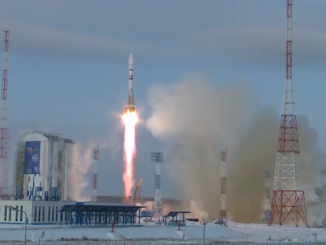 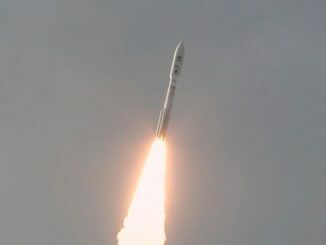 A United Launch Alliance Atlas 5 rocket launched at 5:02 p.m. EST (2202 GMT) Thursday from Cape Canaveral with NOAA’s GOES-S weather satellite, the second in a series of upgraded observatories destined to cover the western United States and the Pacific Ocean. 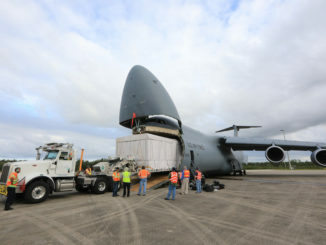 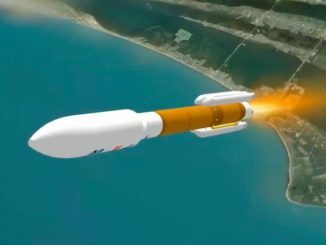 A United Launch Alliance Atlas 5 rocket is set to roll to its launch pad Wednesday at Cape Canaveral, a day before liftoff with a new-generation NOAA weather satellite. 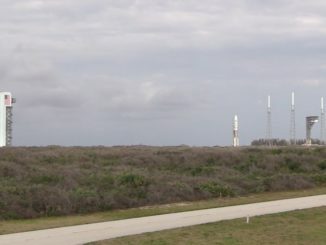 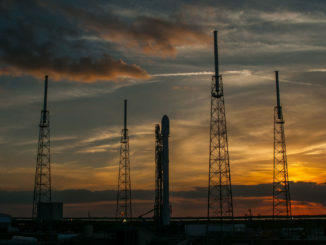 The launch of a SpaceX Falcon 9 rocket with a Spanish communications satellite is expected to be shuffled after the Atlas 5 flight in a rapid-fire launch sequence at the Florida spaceport this week. 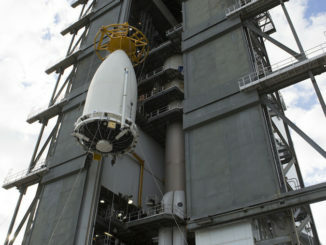 NOAA’s next geostationary weather satellite, GOES-S, was raised on top of an Atlas 5 launcher Friday at Cape Canaveral in preparation for liftoff March 1 to keep watch over the Pacific Ocean and the Western United States.